BOSTON — When the Advisory Committee on Bankruptcy Rules met in San Diego earlier this year, one of the items on the agenda was the continued discussion of a proposal from the Business Law Section of the American Bar Association to amend Rule 2004(c) to impose a proportionality limitation on the scope of production of documents and electronically stored information. Opinions among Advisory Committee members varied widely, and the discussion concluded with a 6-5 straw poll vote in favor of the general concept of adding a proportionality requirement, although no consensus was reached about how the new rule should read. When the proposal was revisited this spring, the factors to be considered in assessing proportionality were stripped away. The ABA’s Committee on Bankruptcy Court Structure and Insolvency Process had “suggested that such an approach would be consistent with the notion that Rule 2004 examinations are supposed to be broad ranging and relatively unconfined, while still providing a means of reining in requests for documents and ESI when the costs and efforts when the cost and effort of complying are disproportionate to the needs of the case,” according to the minutes of the meeting of the Advisory Committee. But several committee members did not favor the change. Some expressed a concern that having such a rule would lead to more litigation. This time, the proportionality amendment failed on a 7-6 vote. But though some practitioners are disappointed that the Bankruptcy Code will not be amended to impose a proportionality requirement on pre-litigation “fishing expeditions,” the chief justice of the U.S. Bankruptcy Court in Massachusetts said he and his colleagues will continue to be mindful of the concept of proportionality, even without the text of the rule changing. Rule 2004 is broad, both in terms of who may use it and who may be targeted by it. “On motion of any party in interest, the court may order the examination of any entity,” the rule reads. According to practitioners, that still leaves plenty of open water in which to conduct “fishing expeditions” to uncover assets and potential causes of action before any formal litigation is initiated, especially given the proliferation of e-discovery in recent years. That bankruptcy courts have found it useful to have such a far-reaching rule is likely one reason the advisory committee ultimately rejected the proportionality restriction, Boston attorney Jeffrey D. Ganz said. “The committee may also have considered the difficulty of determining what level of expense would be appropriate or proportional when the parties are in a pre-litigation phase and the parameters of the dispute have not yet been defined,” he added. When it comes to expense, electronically stored information, or ESI, has changed the game, said Boston attorney D. Ethan Jeffery. Responding to a Rule 2004 examination “could be a huge undertaking,” he said. While Rule 2004 examinations are not that common, requests for them are almost always granted, Jeffery explained. The main exception is when the parties are already engaged in litigation, because then the regular rules of discovery already apply. Ganz said the failure to include even a reference to the concept of proportionality in the rule creates a risk that innocent third parties will be subjected to unduly intrusive and expensive burdens in the bankruptcy context. “Where the Federal Rules introduced the concept of proportionality to deal with the significant time, resources and expense required for responding to wide ranging requests for electronically stored information and witness testimony, it is problematic that similar protections are not provided in the Bankruptcy Rule 2004 context that makes the same demands upon discovery targets,” he said. Though responding parties will still have the protections against undue burden and significant expense provided by Federal Rule 45, the absence of an express proportionality requirement “may permit more mischief, expense and investment of time than circumstances would reasonably dictate,” Ganz added. That type of burden might be particularly onerous on a small to midsize business trying to reorganize under Chapter 11 that then finds itself having to devote a lot of resources to responding to a creditor’s ESI request, Jeffery said. The burden can also be unfair to third-party witnesses forced to respond to Rule 2004 examination requests, be they the debtor’s management or family or a bank that has handled the debtor’s transactions, Ganz said. Boston attorney Francis C. Morrissey agreed that Rule 2004 examinations can impose a real hardship, particularly given what are often “asymmetrical” resources between the parties. Incorporating the concept of proportionality into the rule would have helped judges craft appropriate protective orders, he believes. However, Morrissey, who has been on both sides of Rule 2004 examination requests, noted that he and his Massachusetts adversaries have typically been able to agree to narrow those requests and craft ones that both parties can live with. National Consumer Law Center attorney John Rao said he was not surprised about the result of the Advisory Committee’s discussions. 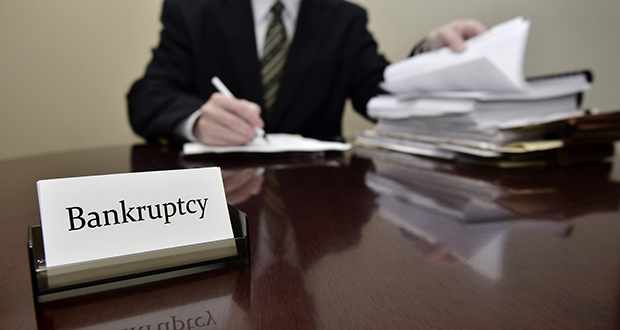 He noted that it is yet another example of the push and pull between wanting bankruptcy procedure to be consistent with the Federal Rules of Civil Procedure on the one hand and recognizing that “bankruptcy is different” from civil litigation on the other. When it is a close call, advisory committees will tend to take a conservative approach and preserve aspects of the bankruptcy rules that acknowledge those differences, he said. “The old adage, ‘if it ain’t broke, don’t fix it’ certainly comes about a lot with proposed rules,” Rao said. Rao suggested he is not overly concerned about the failure to change the rule, given that bankruptcy judges have more direct oversight of their cases than do their federal district court counterparts. As such, abuses of Rule 2004 can easily be brought to the judge’s attention, and he or she can then impose limits on an examination or halt it altogether, he said. District of Massachusetts Chief Judge Melvin S. Hoffman was part of the faction on the Advisory Committee that favored incorporating proportionality into Rule 2004. He explained that the purpose of Rule 2004 is to allow creditors or trustees to satisfy themselves of the “bona fides of the debtor, financially or otherwise,” helping them decide whether they want to initiate adversary proceedings. Hoffman and others who favored adding a proportionality requirement to Rule 2004 were worried that a failure to do so would be tantamount to a “negative implication,” given the analogous changes in the Federal Rules of Civil Procedure. That might send the message that proportionality does not apply to 2004 examinations, he explained. Hoffman noted that some judges were concerned that adding a proportionality requirement would result in the filing of more objections to Rule 2004 examinations. As Rao suggested, Hoffman said that his sense was that a majority of the Advisory Committee decided that it did not want to send any sort of message, one way or the other. Rather, they preferred to rely on existing case law and leave it to judges to decide the reasonable scope of Rule 2004 examinations on a case-by-case basis. Hoffman said he believes that most courts are willing to rein in 2004 examinations that expand beyond reasonable limits, even without explicit support in the rule. Rule 2004 examination requests differ from discovery in civil litigation, he noted, in which parties do not need permission to notice a deposition and the court only gets involved after a dispute arises. In Rule 2004 examination requests, a judge is part of the process from the outset. There may be fewer disputes over Rule 2004 examinations in Massachusetts than elsewhere, Hoffman said. “I’m not sure why that is — a cultural thing, perhaps,” he said.